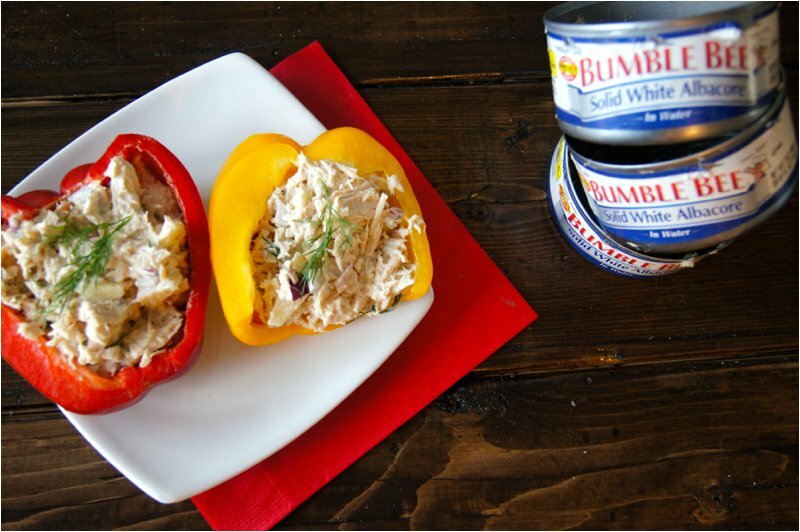 New Year, New You with this Bumble Bee® Tuna Recipe! Happy Martin Luther King Jr. day, friends! I hope those of you off work are enjoying the long weekend! With this being the first official holiday of 2015, I thought it'd be a good time to check-in with where you are meeting your new-year new-you goals! I know some of you have hit the ground running since the stroke of midnight this new year to make healthy habits stick. I also know that for some of you the countdown to the wedding just got a lot closer and you mean business! You need change. You need results. It's a new year and you're ready to transform! Well, my advice is start any major change with small steps, such as by swapping healthy recipes for your regular go-to snacks and meals. 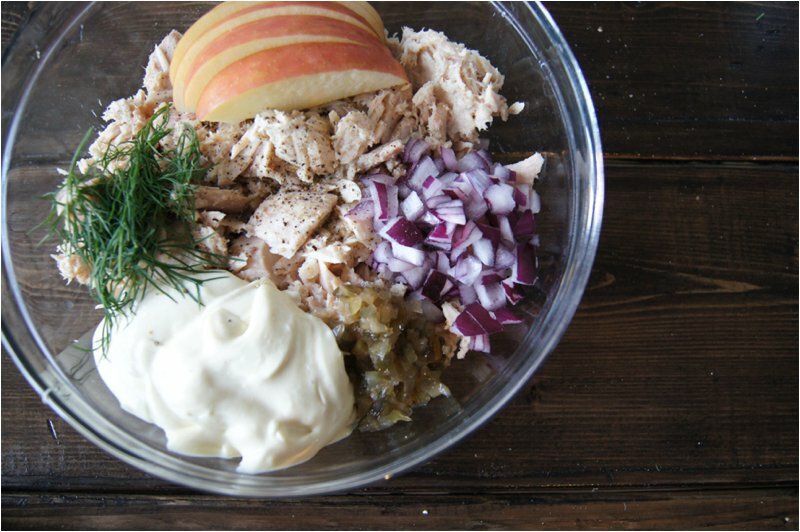 This twist on your classic favorite -- tuna salad! -- is the perfect way to start healthier snacking in 2015! Now, I'll admit, there are some things I've said won't ever taste as good as the way I grew up eating them but, what I've learned on my weight loss journey is that healthy food can sometimes taste just as good, if not better, than the foods I used to eat. The trick is using nutritious food that keeps me feeling full longer - like plump bell peppers and meaty Bumble Bee® tuna- and, getting a little creative. 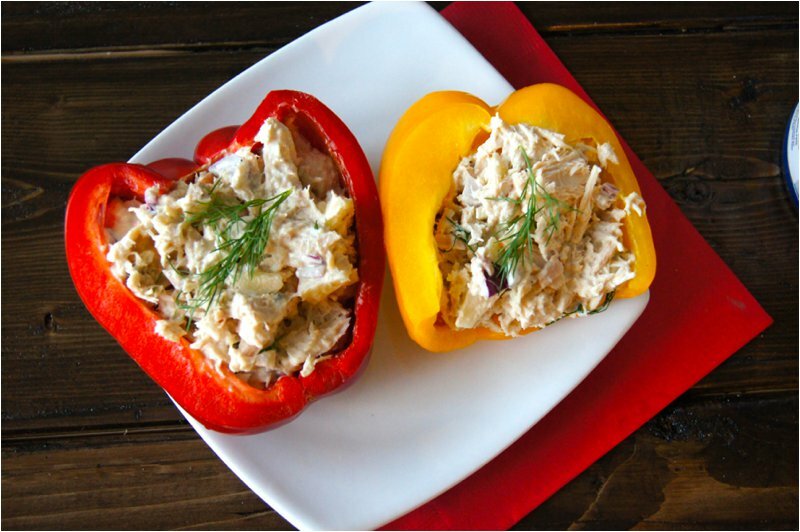 These tuna salad, bell pepper boats are a prime example!! I didn't think there was such a thing as tuna salad without gobs of real mayonnaise and sweet relish, but I was wrong! This recipe, adopted from Against All Grain, really surprised me! 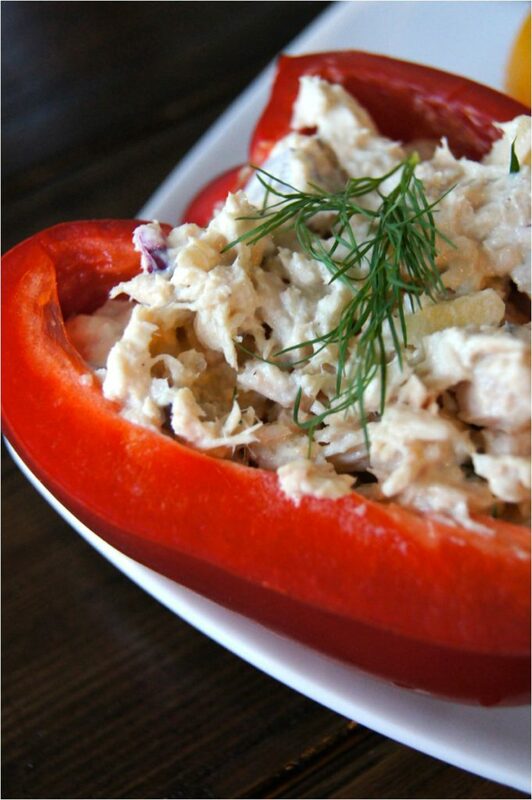 Paired with deliciously plump bell peppers, these tuna boats are tasty and satisfying! I also made my own mayonnaise for the first time (only four ingredients, delicious, and EASY! I used this recipe. I was also pleasantly surprised how chunky and meaty this Bumble Bee® was! I love tuna because it's an easy and delicious way to add a variety of nutrients to your diet, including lean protein, healthy fat, and important vitamins and minerals. I hope you love this recipe as much as I did! 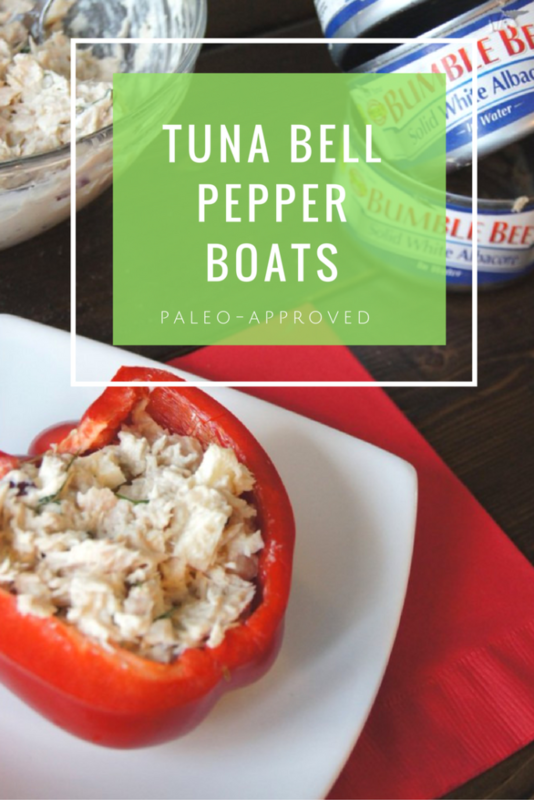 These bell pepper tuna boats are the perfect snack to pack for lunch, dish out when you get home after a long day at work, or snack on with your kiddos. ! Feel free to pin this image to find this recipe on-the-go! What's your favorite Bumble Bee® recipe?